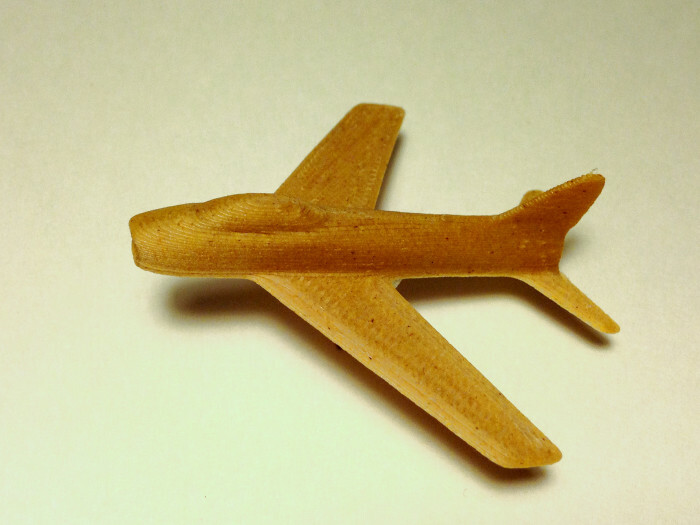 Today I printed this airplane model designed by Dolf Veenvliet, based on the F-86 Sabrejet. Thanks to my dad for the link. My grandfather’s unit, the Boys from Syracuse, flew the F-86. Today was his birthday. Posted by Eeon on Monday, March 31st, 2014 at 10:45 AM. Very cool! Can you 3D print a MiG-15 for this F-86 to shoot down?